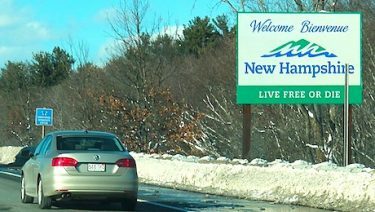 Young people are flocking to New Hampshire. What do they have that we don’t? Perhaps the better question is, what does New Hampshire not have that Vermont does? New Hampshire has no sales tax and no income tax. Gov. 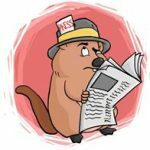 Phil Scott made Vermont’s demographic crisis a focal point, stating at one point that he would like to see our state population rise to 700,000 (from 620,000) by the end of a decade. Our population woes have been in the spotlight for a long time. 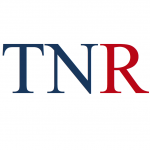 The Ethan Allen Institute published “Off the Rails,” a warning on the topic, in 2006. However, no policy or set of policies since then has done anything to help the situation. We continue to age, we continue to lose working age adults, and, when they leave, they take their school age kids with them, so our K-12 population has dropped by 30,000 over the past two decades. The transformation was most significant among people in their 20s with an average annual migration gain of 1,200 between 2013 and 2017, compared to an average annual loss of 1,500 from 2008 to 2012. Additionally, during the same period, the net annual migration gain nearly doubled among people in their 30s. So, how come New Hampshire is successful in seducing twenty- and thirty-somethings while Vermont is one of only two states to see a net decline in population? Maybe — just maybe — the fact that New Hampshire has no sales tax and no income tax has something to do with this — and the fact that New Hampshire lawmakers have gone out of their way to make the state more business-friendly by lowering business taxes and reducing regulations. Yes, the fact that southern New Hampshire is a long but doable commute to Boston is an advantage Vermont does not have and cannot replicate, but not everybody looking for an alternative to living in a metropolis like Boston or New York wants or needs to commute. Many are just looking for a place with a lower cost of living that still has opportunities to build a career. New Hampshire is working to make sure they offer both. Vermont politicians seem hell bent on offering neither. We can see the results. So, How Many in Vt Senate and House members were born in Vt. or have lived all of their adult life in Vt. How many grew up inside the Burlington, Montpelier Big Gov’t sphere? I lived in central NH Lakes Region from 1999 – 2010, moving there from the Washington D.C. area. It was a struggle, as good jobs were hard to find. Further south, and closer to MA, there were more opportunities if you were willing to commute to MA. Lakes Region residents consider Concord and south as MA 🙂 As in Vermont, where I live today, the Leftists have invaded, colonizing by not assimilating, but rather working hard to change their new home into the welfare states they left behind. The Rutland VT Price Chopper grocery store outsells ALL OTHER PRICE CHOPPER STORES in meat and seafood sales. It all takes place on the first of the month. Its called the “VERMONT EBT AdVantage” card! Store employees our outraged …. There is a definite change in NH. The last election 40 democrats were elected mostly from the southern large cities that changed the balance in the Legislature to Democrat control and Gov Sununu is the only Republican left. The Congressional Senators and Reps are Democrat. Seems the city populations are controlling who gets elected, not rural NH. Sound familiar? Hope the Vt’ers that migrated to NH don’t bring their Liberalism with them. Also in the southern tier, it’s close to liberal MA, that affects the politics, Hopefully these people get educated that Liberalism isn’t the answer to everything and become realistic and honor NH’s way of life that has been in existence for years making it desirable for them to desire to become residents. What happened in VT should be a lesson to NH. Furthermore NH being prosperous must be a thorn in the side of VT politicians. if VT politicians can learn anything. In NH businesses flourish and taxes for them are declining (there’s an article about this) making for jobs. But with the increase in the population, property values also increase because of demand making it more difficult to purchase. I have seen many changes in NH since 1978 and keep track. Exactly. Florida isn’t the only place changed by socialist migration. Consider Alabama also. Very conservative, friendly, jobs, far better climate, low taxes, reasonable RE prices (check out Zillow, type in any town and see). I know, I spend winters in LA (Lower Alabama as they say there), near Pensacola. Go fishing instead of shoveling and shivering. Check out Joe Pattis seafood market, 10’th attraction in FL, unreal. You feel like living (existing) here. To VT policymakers, Liberalism is everything. That’s all they care about. It hasn’t changed in decades because embedded policy doesn’t allow for free markets to set roots, thrive and enable individuals to actually become their own decision maker. That’s the scourage Liberalism fears most. Consequently, those who keep voting them in are either content with a government controlled life for one of a variety of reasons; or the prospect of struggling to make it on their own with little employment opportunities is too much for already despondent minds to handle. Face it, they have won the cultural/economic battle for the immediate future. Remember Romney’s 47% comment? In VT, its more like 87% so how do you get to those minds that have already given up? 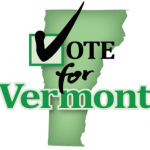 Vermont is no longer run by Vermonters – thats our first and most glaring issue at hand. It is being run by people who have moved here from out of state and want to keep it a Park!!! We need a push to replace the Idealists in Montpelier with hard-working native Vermonters. If we can do that we can get our state back. 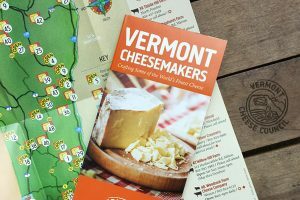 What doesn’t New Hampshire have that Vermont does? A mandatory motorcycle helmet law for starters. Just sayin…. You don’t have to go all the way to Berlin to notice the difference. Try Bellows Falls versus Walpole, Lunenburg versus Lancaster, Norwich versus Hanover or St. Johnsbury versus Littleton. You are correct on all account. When I liven in VT it was so very frustrating seeing this stark difference yet the majority of folks under the golden bubble continued with their tunnel vision. Sorry to say, and I’m sure I’m not alone is saying it, that right there was a major reason why we left VT. And now look, VT the only state with negative Job growth. Littleton always amazed me. Bustling town on one side of the Peaslee bridge and wide open lands on the other side. Very curious. Keep the *poor*, poor and dependent of gov’t. NH earned being the choice of the” Free State Project” of Libertarian leaning younger folks, a couple? of decades back..
– without having Gov’t dictate against every enterprise – and to enjoy the fruits of their labors. Another object is to work to control gov’t growth from within, running for offices – to curb, not expand gov’t reach. Part of a big boost NH enjoys to this day. NH supports the 2nd amendment! No stupid gun laws- makes it safer! What does New Hampshire have that Vermont Dosen’t ?? and ATV use is promoted . My mottos for Vermont is “Struggle to Live or Die” And Tax-U-Mont. If people are moving to NH, keep the Libs in VT. Don’t let them escape the crap they created and force on the good people. They wouldn’t run for the legislature, the yearly salary is $100. So they would be out of a job, sucking the taxpayer. New Hampshire also does this with twice the amount of people and half the size of government. What does that tell you? Let’s all move to the East. Smart move. My brother lives there and loves it, one other brother of mine said he will retire there from MA. Fellow I had do HVAC work on my house in Vt when I owned it is picking his business up from Chittenden county and moving to NH along with his family that includes 2 you children. He specifically said the reason he’s moving is the business climate is much more friendly there(NH). NH gets it, they don’t look to tax money velocity. It’s simply and they have one of the highest median incomes in the country, all while having better income equality then VT without progressive income taxes. Question is, why are you all still in VT loathing about it? Because I am a native Vermonter that is getting too old to move all my junk. I also have no interest in moving South but I haven’t ruled out moving East yet.